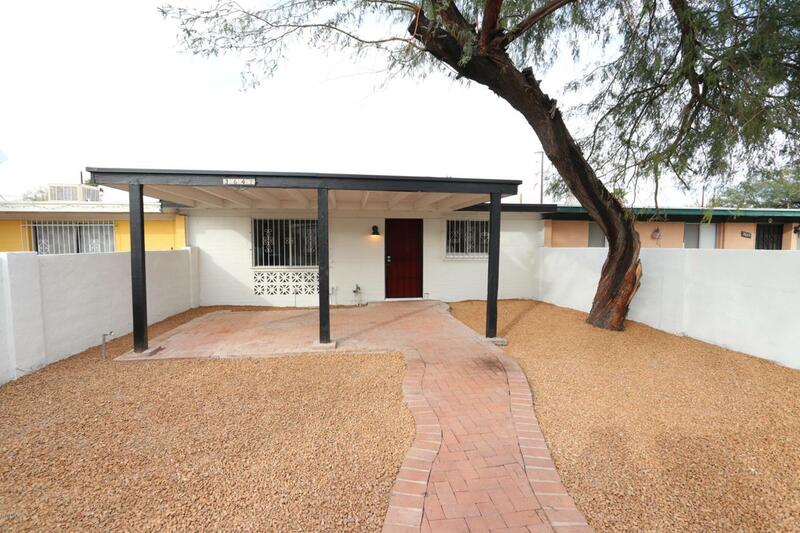 Adorable 2 bedroom 1 bathroom townhome in convenient Central Tucson. Enjoy the plush carpet, modern easy care flooring, tile shower surrounds, fresh interior paint and stainless steel appliances. Nice, bright kitchen opens to living/dining area. A must see!